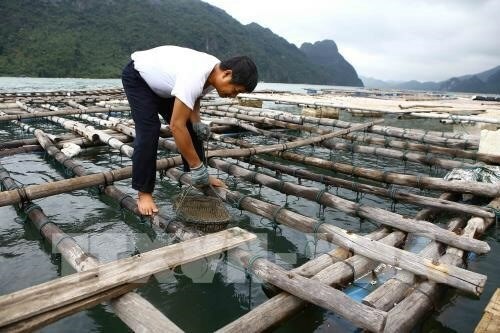 Quang Ninh (VNA) - The northern coastal province of Quang Ninh has asked local authorities to urgently examine and determine the reason for the mass oyster deaths in Tien Yen district. Reports from Tien Yen district’s People’s Committee showed that since early March, the deaths have wiped out 75 percent of 7,200 tonnes oysters raised in the district, causing a loss of some 82 billion VND (3.6 million). Apart from Tien Yen district mass oyster deaths are also being recorded in Quang Yen town, Van Don district and Mong Cai city. Nguyen Huu Giang, Director of the provincial Department of Agriculture and Rural Development, said the department had asked specialised units to inspect and collect information on the reason for the oyster deaths. Although the salinity was rather high – between 29 and 30 percent of the water – it was within the permitted level and would not have impacted the aquaculture.